«I will tell you when Russian companies are for sure going to decrease production – when oil costs $0». Courtesy of Russian Deputy Energy Minister Kirill Molodtsov, this has got to be one of the top quotes of 2015. Well, forget about oil costing $0 even as OPEC refuses to cut production to curb the global oversupply. As for Russia, expect it to keep pumping like there’s no tomorrow. Here’s the breakdown. Russia will keep its 2016 oil production level at a staggering 533 million tons – which will translate as an average of 4.76 million barrels a day in exports. Profiting from a stream of more efficient refineries, domestic demand is down and exports are up. Russian oil companies, compared to Western majors, suffer less with low oil prices because of the ruble devaluation and because taxes go down as the oil price goes down. Igor Sechin, president of Rosneft, famously brags that Russian costs are «the lowest in the world» – especially from oil fields in West Siberia. 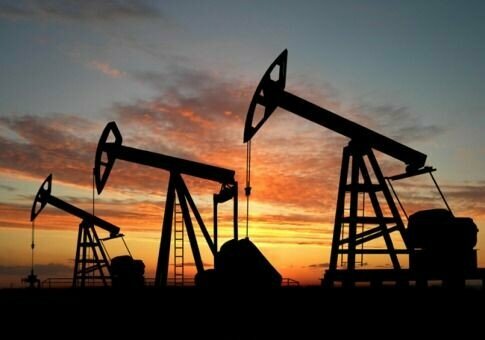 Russia is the top global oil producer alongside the Saudi oil hacienda. And at least three times in 2015 Russia has exported more oil to China than Saudi Arabia. That fits into the key energy angle of the Russia-China strategic partnership in Eurasia. Curioser and curioser, this process is now running in parallel to Russia and Saudi Arabia set to – maybe – become potential allies, even as their oil strategy frontally clash. Russian President Vladimir Putin has alluded to a «multibillion-dollar program» in the military-technical spheres. This may be a sign that the House of Saud has seen the light – as in being seriously hurt by its own strategy of forcing low oil prices. That would imply in the long run a House of Saud more closely aligned with the Russia-China strategic partnership – as China is the Saudi’s top trading partner and, on and off, top oil customer. The House of Saud’s key motivation to force oil prices down in 2014 was to bend Russia’s will over Syria. Now the economic verdict is in – and it boils down to an absolute disaster, featuring a budget deficit of 16% of GDP in 2015 and sovereign credit rating cut to «A+/A-1» from «AA-/A-1+» by Standard and Poor's. Russia, for its part, kept pumping. And to top it off Moscow sent the Air Force in style to protect Damascus. So the House of Saud essentially failed to capture market share away from Russia even as Moscow and Beijing deepened their energy partnership; crucial, for instance, is the fact that Gazprom Neft – number three Russian oil producer – is selling energy to Beijing in yuan since January. Oil prices will continue to be low in 2016. OPEC will continue to be fractured. Russia though has managed to survive, as well as Iran. As for the House of Saud, the «consolation» is that its low price strategy managed to kick many a competitor out of the market. US oil insiders maintain that what really makes sense is Russia and Saudi Arabia as allies, not enemies. For OPEC and the Gulf petrodollar club, merely cutting back ten percent of their oil production along with Russia would double the oil price – which has been crashed by the Saudis in the first place. This would mean nearly $180 billion a year of new profits for Russia and Saudi Arabia each. This makes a Russia-Saudi oil deal more relevant by the day. Powerful players closely linked to Riyadh are trying to make it happen. That would lead to an avenue literally paved with gold. A Saudi and Arab OPEC rapprochement with Russia, and potentially with Iran, would lead the way for the Gulf petrodollar club to be part of the greatest global infrastructure project in modern history; the China-driven One Belt, One Road, or Eurasian integration via trade, commerce and first-class infrastructure. The Chinese New Silk Roads will be progressively integrated with Russia and the Eurasian Economic Union (EEU) states. The choice for the House of Saud is stark; to bet on – and profit from – Eurasia integration; or to keep stirring/weaponizing a bunch of Wahhabi wackos who, in characteristic blowback fashion, will eventually turn against their ideological matrix and try to capture Mecca itself. Yet don’t count on a fearful, paranoid House of Saud to come up with a rational decision.